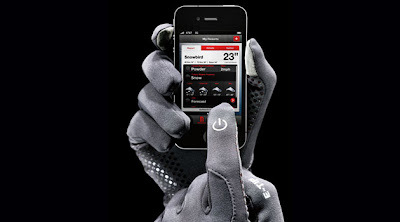 The North Face Etip Glove allows you to use touch screen operated devices while wearing a warm snug fitting glove.You can now use your phone, tablet, etc. in the cold. 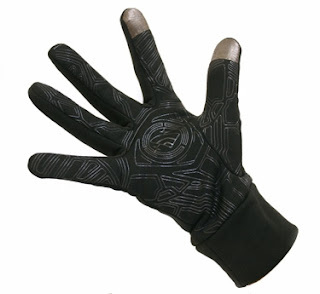 The fabric is called "X Static" which incorporates a slip resistant silicon and pure silver at the thumb and forefinger linked by a circuit board pattern. This is a really great innovation by The North Face. They have always provided clothing with purpose and style. We were pleasantly surprised at how comfortable and warm they actually were. If you purchase or own a pair please leave a review in the comments section at the bottom of this post.